It will be amazing to see so different variety kind of businesses being done in the heart of Vietnam. Mentioning about the traffic jam, the first thing coming to your mind may be the roads with a mess of motorbikes and cars. But in this plan, you’re going to be surprised with tons of boats selling different kinds of things from fruits, noodles, drinks to some necessary products for daily life. Even though crowed vibes, it seems to no one get angry and no boat seems to hit each other. You can easily to get a piece of pineapples from the boat next to you. The friendly people, the crazy vibe will be you don’t want to leave. If you can get up early enough to enjoy the peaceful vibes of floating market, don’t miss out the sunset moment here. Around half past four, the sun from the horizon looks like a big round fire, rise slowly from the water. Sitting on a small boat, immerse yourself in nature, this plan helps you get away from noisy daily life, keep calm and enjoy the simple life in the best simple way. One thing you have to get clear that the Mekong is definitely a home to coconuts. You can see this kind of tree everywhere, any road you have gone through. It is easy to understand that why local people take coconut into the local tourism. By starting learning how to climb up the coconut tree, you will have a chance to go through a whole array of emotions. If you’re s strong feeling lover, this unique activity will be perfect. The food tastes so much better if you can work for it. After reaching some coconuts, it is time for a natural candy that is made from this kind of food. By skillful hands of local, coconuts are peeled out, looks like a cereal bowl and just reveal the nice meat. For travelers, you can join to peel the meat into little strips. Using the big chopstick, locals put them in a pot in the outdoor cooking area, just go straight in with white sugar and mix it up on the fire. Finally, the beautiful sugary candied coconuts are finished. Let’s try to do it and get back as a warm gift for your beloved ones. The cooking class to understand more local cuisines. 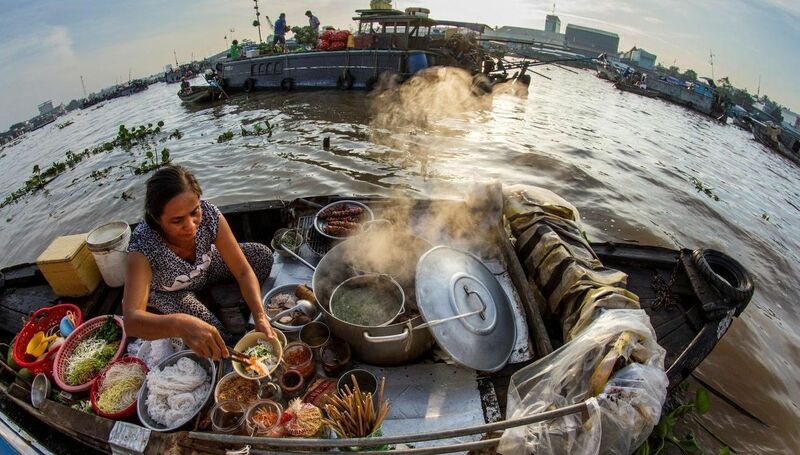 Not only admire the hidden charm and unique activities as above, the local cuisine is also a highlight in Mekong Delta Tour and the cooking class is the best option. 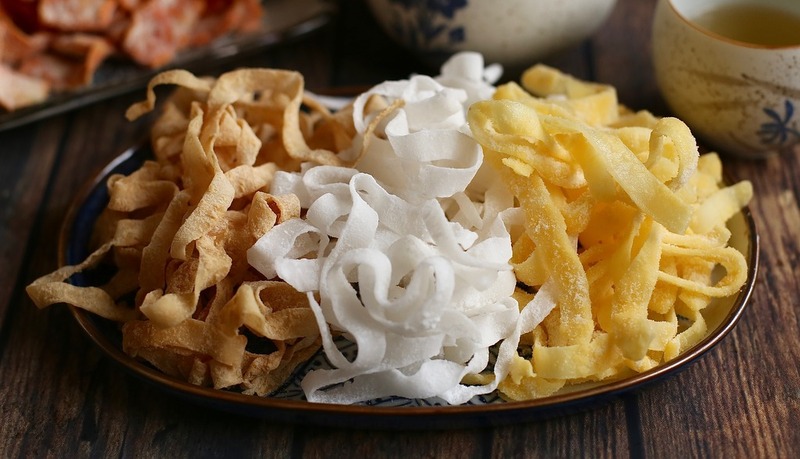 Don’t hesitate to try to make Banh Xeo (Vietnamese pancakes) if you visit here. 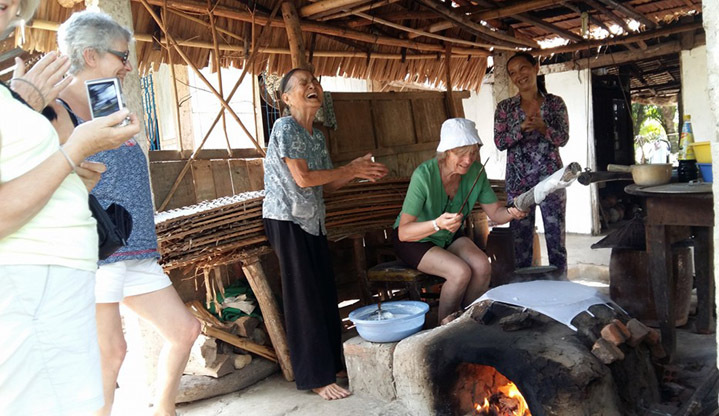 As a special part of Mekong Delta tour, you will not only witness how the locals create this marvelous taste but also learn the recipe and try by hand in a fun cooking class with friendly local guides. No matter how good you are at cooking or not, people all join together and enjoy their achievement. Mekong Delta is not only a home to beautiful landscapes and amazing food, but also a special spirit of friendly and kind- hearted people who inspire us to live happily every day. Don’t forget to put Mekong Delta into your Vietnam’s itinerary.